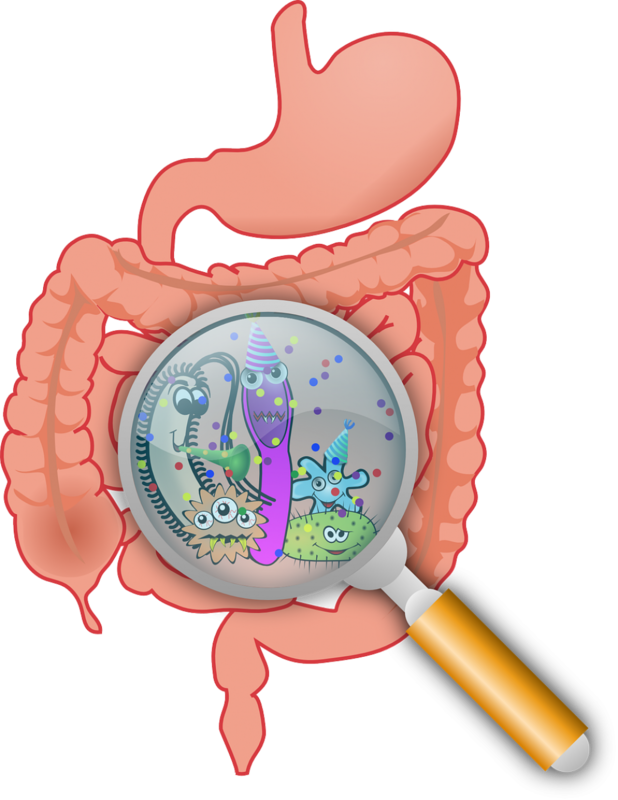 The human gut contains 1013–1014 microorganisms, much more than the cells of our organism, and 100 times more genes than our genome! These microorganisms have evolved to have a symobiotic (win-win) relationship with the human body over millenia: We provide them with a place to live, and they help us with a host of functions. These symbiotic microorganisms, chiefly bacteria, are also known as probiotics. Reducing fatigue through better lactic acid breakdown. Controlling redox function, which can delay fatigue symptoms. Increasing ATP levels, your molecular energy. Supplying essential metabolites to your mitochondria – your cell’s powerhouse. Regulating energy harvest, storage, and expenditure. Poor gut health may be a contributing factor in some diseases and conditions, such as obesity, metabolic syndrome, anxiety and depression, autoimmune diseases (such as rheumatoid arthritis), necrotizing enterocolitis, skin disease, ulcerative colitis, Crohn’s disease, and irritable bowel syndrome. One study by The Human Microbiome Project found in stool samples that people with a less diverse microbiome were more likely to be diagnosed with irritable bowel disease, supporting the idea that the human microbiome really does have a significant impact on health. Gut health can be compromised by stress, which in turn increases gut permeability (leaky gut syndrome). Antibiotics eliminate bacteria indiscriminately, and have been identified as the culprit in post-antibiotics Clostridium Difficile infections. High-fiber foods: Whole grains, nuts, seeds, fruits and vegetables all contain prebiotic fibers that are good for your gut bacteria. Prebiotics can reduce stress hormone in humans. Tryptophan-rich foods: Tryptophan is an amino acid that is converted into the neurotransmitter serotonin. Foods that are high in tryptophan include turkey, eggs and cheese. Probiotics are also available in supplement form, and studies have shown a moderate beneficial effect in addressing the symptoms of depression and anxiety, irritable bowel syndrome and inflammatory disorders. Rankin, Alan, Ciara O’Donavon, Sharon M Madigan, Orla O’Sullivan, and Paul D Cotter. “‘Microbes in Sport’ – The Potential Role of the Gut Microbiota in Athlete Health and Performance.” British Journal of Sports Medicine 51, no. 9 (May 2017): 698–99. https://doi.org/10.1136/bjsports-2016-097227. Clapp, Megan, Nadia Aurora, Lindsey Herrera, Manisha Bhatia, Emily Wilen, and Sarah Wakefield. “Gut Microbiota’s Effect on Mental Health: The Gut-Brain Axis.” Clinics and Practice 7, no. 4 (September 15, 2017). https://doi.org/10.4081/cp.2017.987.